The first Charlotte Helpers vigil of the new year was held in the chapel at Charlotte Catholic High School on January 18th. Fr. Matthew Kauth celebrated Mass, followed by Adoration in the chapel while the majority of the group prayed at the Hebron Rd. abortion clinic led by Fr. Kauth. 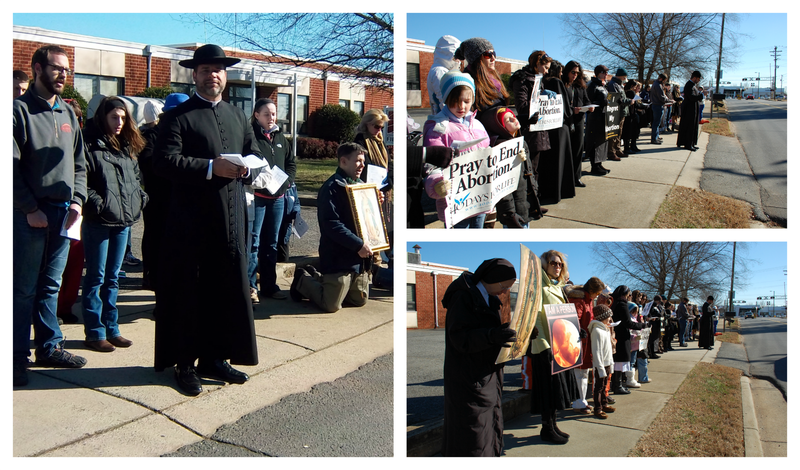 We had over 50 people join us to stand as a [Eucharistic-centered] prayerful witness for life. Thank you to everyone who came out, especially those who joined us for the first time! We hope you will join us again.